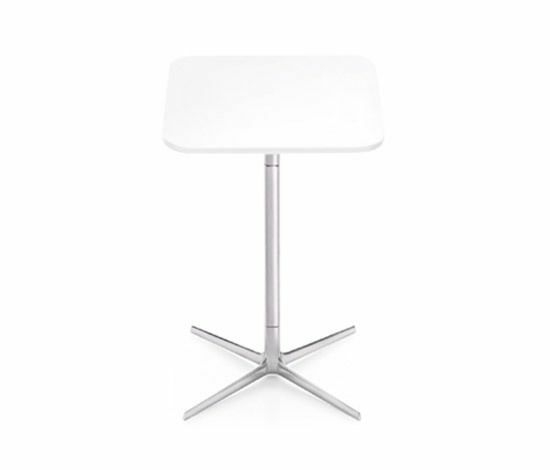 Table with four-star base in shiny aluminium or painted and top in white, embossed MDF, available in different shapes and sizes available (square or round). Height 105 cm. Fred is a sleek, versatile table, amenable to almost every situation, with clean lines and an exceptionally sturdy base. Available in four heights (36.4, 50, 74 and 105 cm) with both round and square tops in a range of sizes. Four-star base in shiny or white-painted aluminum.